"They need these tests to run without a hitch for the fifteen billion pound railway to hit its scheduled opening of December 2018." 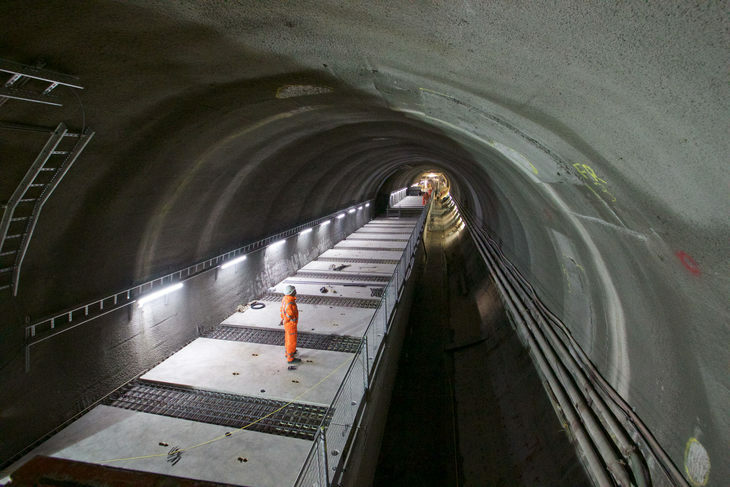 Those painful words come about a minute into the third series of the BBC's Crossrail documentary, aptly titled The Fifteen Billion Pound Railway. Spoiler alert: it didn't launch on time. 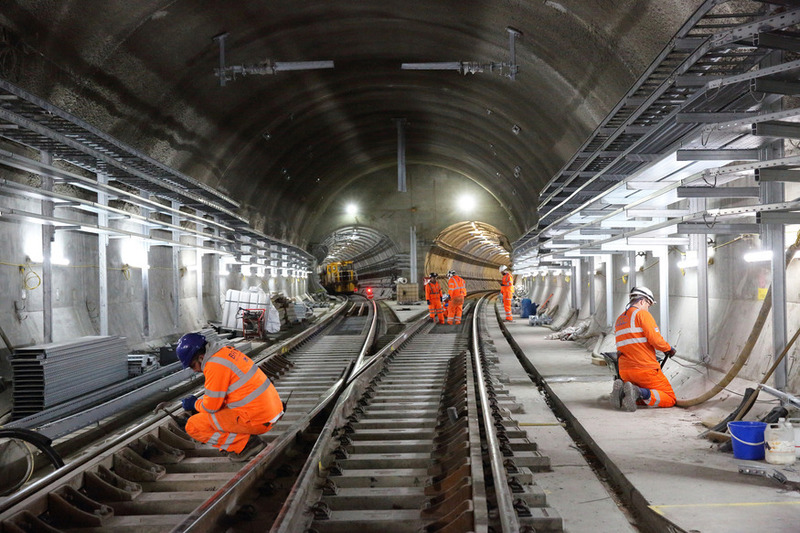 Crossrail's delay, then further delay, hangs heavy over the show. Every few minutes there's another interview with construction workers, or engineers, re-iterating how important it is to make the December 2018 launch date. Nearly the entire first episode is set before the delay was announced, and therefore a lot of dramatic tension over whether things will get done on time is rendered null and void. Even though the viewer knows that ultimately, Crossrail failed to meet its deadline, The Fifteen Billion Pound Railway isn't a pointless watch. It examines ways that delays mounted in the construction, which led to a haemorrhaging of both time and money. One repeated theme is the difficulty in getting materials into stations, something done mainly via construction trains. These trains are liable to get caught in underground traffic jams, leaving the next station along waiting for hours before it gets the required material to continue working. Also covered is the dilemma of testing the new Class 345s in the tunnels. This wasn't meant to begin until the platforms of the stations were complete, but those delays made that impossible. So testing is done in 48 hour windows, when construction workers have to down tools and clear out of the tunnels, bringing all of their work to a grinding halt. Sprinkled in between shots of people tightening bolts and looking stressed, is the training of a driver, Rochelle. She's going to be at the helm of one the new trains, and following her journey adds a human element to the show. Apart from that it's mostly back to the construction work apart from the odd tangent. And if you like black and white graphics of trains, then oh boy, is this the show for you. Some things are conspicuous by their absence. One key event that's never mentioned is an explosion at Pudding Mill Lane, something which many who are in the know see as the point when things started to go wrong for Crossrail. Also missing are the stations that are the furthest behind schedule. 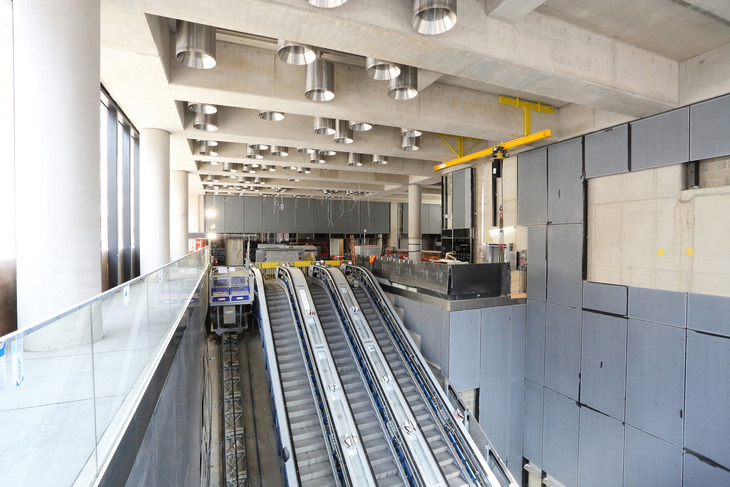 We only see inside Canary Wharf — almost complete — and Tottenham Court Road — making similar good progress. What might've been more fascinating is those stations months behind deadline, like Whitechapel and Bond Street. Just a reminder that this isn't an all-access show. 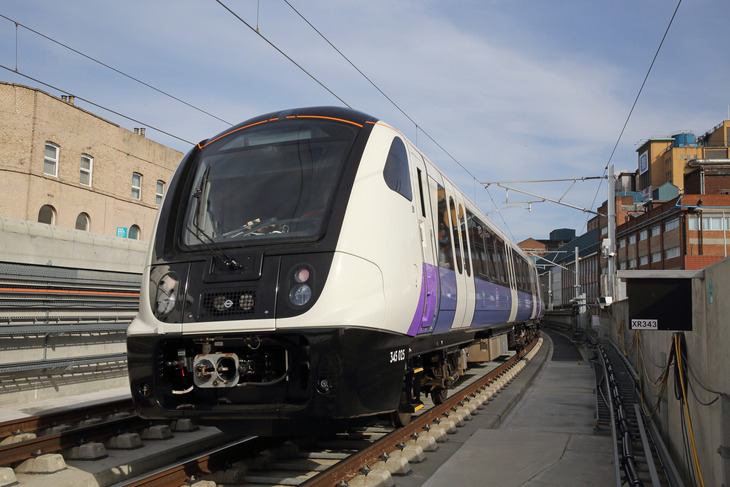 The first episode ends with the August 2018 announcement that Crossrail would not be opening in December, setting things up nicely for episode two, which will hopefully reckon with just how far behind schedule the project now is. The Fifteen Billion Pound Railway airs on BBC2, Wednesday 13 February at 9pm. The second episode is the same time, the following week.